Green Birds Brushes Pack - Free Photoshop Brushes at Brusheezy! Take your work on a trip though the wilds of the jungle with this new Green Birds Brushes Pack! Included in this pack are twelve different bird brushes depicting different kinds of tropical birds perched on tree branches. You'll love the parrot bird brushes and bird of paradise brushes in this pack. 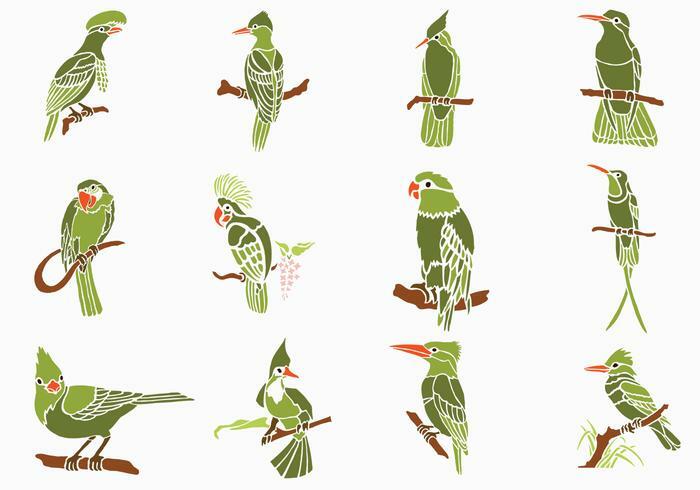 Head over to Vecteezy for the vector pack and download the <a href="http://www.vecteezy.com/birds-animals/57159-green-birds-vector-pack/premium">Green Birds Vector Pack</a>!